Mary Lawson has been called an old-fashioned story-teller. Her ability has won many prizes for her first two novels. She has done it again with her new book, Road Ends. Born in a small farming community in Ontario, Lawson grew up with winter storms such as we’re getting this year in Ottawa. You get a vivid picture of families buried in deep snowbanks. She also has a strong feeling for these families, one in particular, and for the tragedies, the shocks, for the capable members and the ones that let everyone down. Part of the story takes place in London, England, where Lawson herself is living now. The daughter who has left home finds her way in swinging London of the 1960’s and tension builds as she has to choose her own future. Mary Lawson’s first novels were Crow Lake and The Other Side of the Bridge. In the new one you get a real feeling for life in Canada (where she still spends a lot of time). It makes a good Christmas page-turner. Try our holiday quiz and then test your friends. 20 questions on recently published books. Answers given below or use the bookstore search engine. 1. Who is the police Inspector in the crime novel featuring the village of Three Pines? 2. What book is about a maid who shoots her employer on his doorstep? 3. How many temples are there in the Shikoku Pilgrimage ( the “Henro Michi”)? 4. What are the recent books written by past or present Prime Ministers? 5. What detective series features an overweight, turban wearing, chain smoking Inspector? Where does he live? 6. Where is the setting for Alice Munro’s short stories in “Dear Life”? 7. Who won the Giller prize this year? What was the book? 8. What two books recently appeared about NDP stalwarts? 9. What famous book is set in New Zealand in the 1800’s? 10. Which crime series is set around Palermo, Sicily and features Sicilian cuisine? 11. What did the hundred year old man do? 12. Who made an unlikely Pilgrimage? 13. What is the Rosie Project? 14. Who wrote “The War that ended the Peace”? 15. Where is the No1 Ladies Detective Agency set? 16. What shopping does Susan Delacourt describe? 17. In local author Barabara Fradkin’s Mysteries, who are the Inspector and the Staff Sergeant? 18. 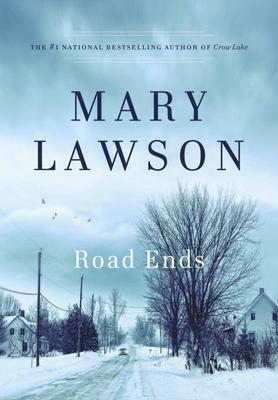 What did the Road do in Mary Lawson’s latest novel? 19. What Nation features in Joseph Bryden’s “The Orenda”? 20. What is the title of Margaret Atwood’s third volume of her dystopian trilogy? 0-4: You have a great reading opportunity ahead. 5. Inspector Singh Investigates. He is based in Singapore. Series by Shamini Flint. Open Dec. 24th until 3.00p.m. Closed Dec. 25th., Dec 26th. Dec 31st: Closes at 3.00p.m. Normal hours resume Jan 2nd. Happy 10th Day of (Penguin) Christmas! Today’s featured book is “Cinders” by Jan Brett – a beautifully illustrated re-telling of the Cinderella story starring some magnificent-looking chickens! 20% off today only! 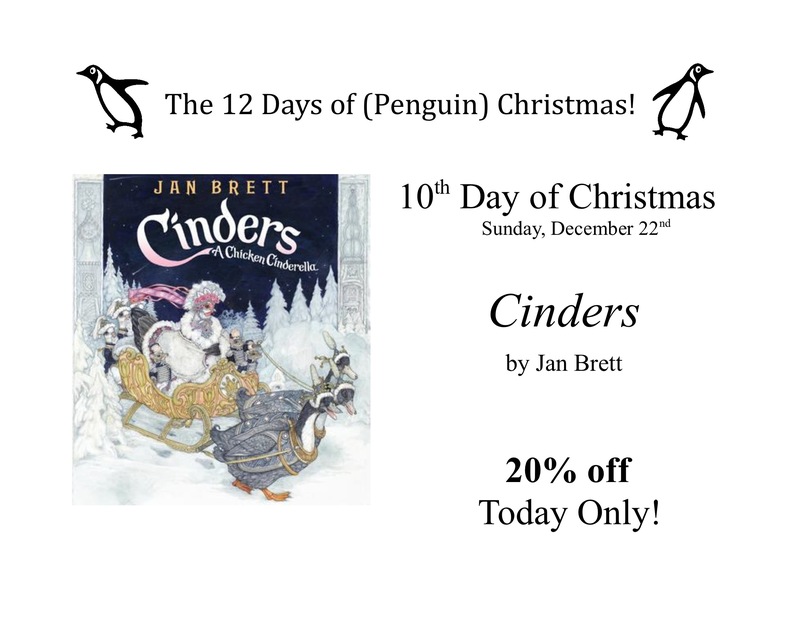 It’s the last Saturday before Christmas and the 9th Day of (Penguin) Christmas! 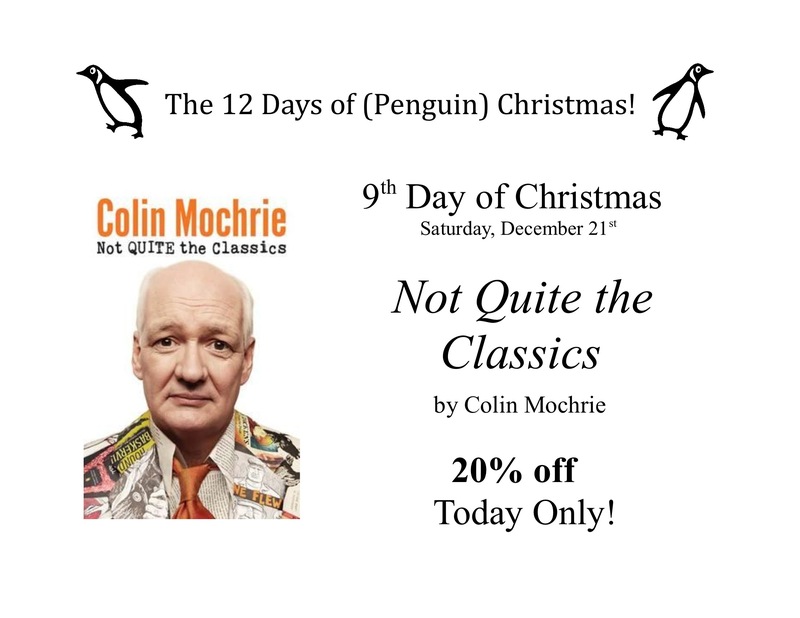 Our featured book today is by the King of Canadian Comedy, Colin Mochrie. “Not Quite the Classics” will be 20% off today only! Happy 8th Day of (Penguin) Christmas! 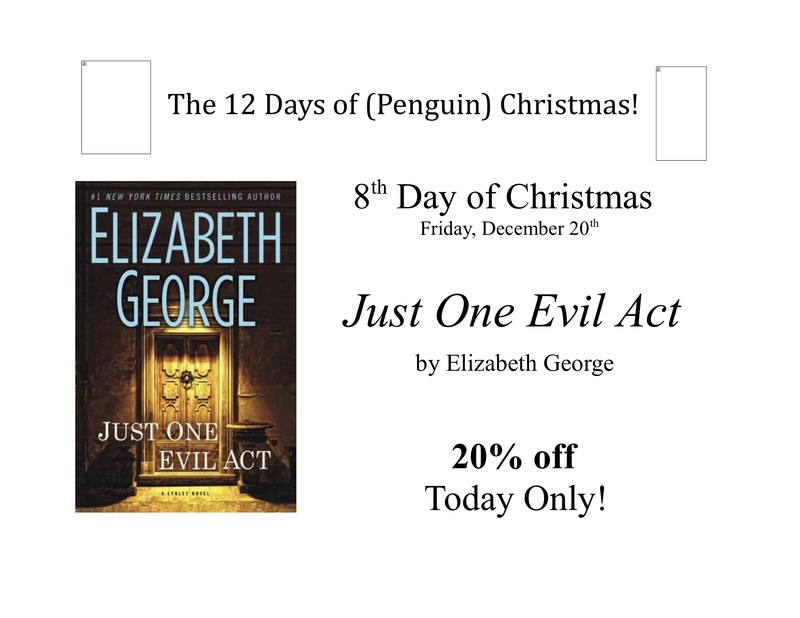 Today’s featured title is “Just One Evil Act” by Elizabeth George. Come by and pick up a gift for the mystery lover on your list. 20% off this great title today only! 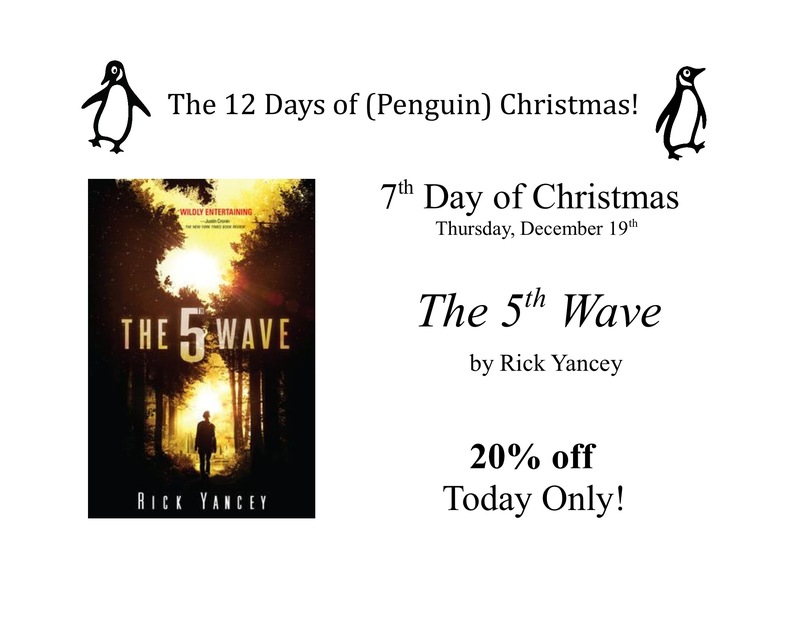 It’s the 7th Day of (Penguin) Christmas and today’s featured book is the fabulous YA novel “The 5th Wave.” 20% off today only! Happy 6th Day of (Penguin) Christmas! 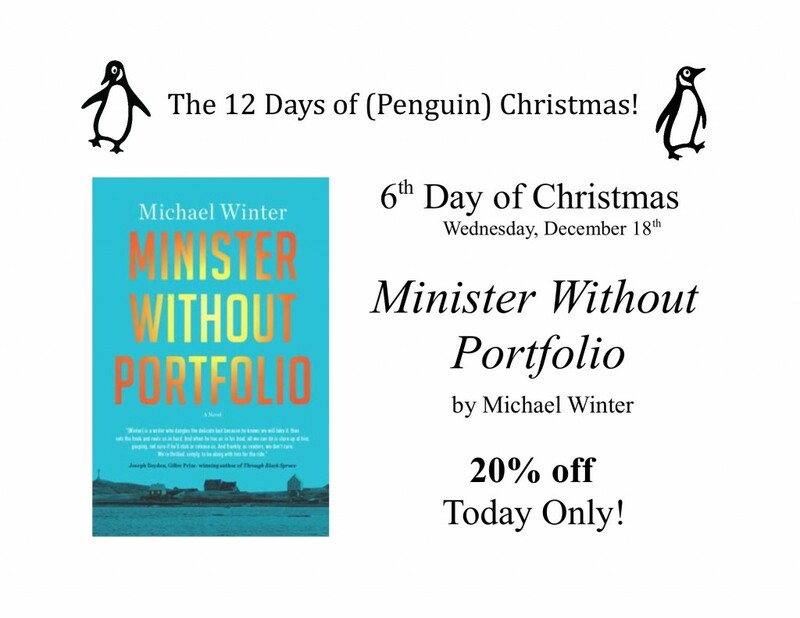 Today’s featured title is “Minister Without Portfolio” by Michael Winter. It will be 20% off today only! 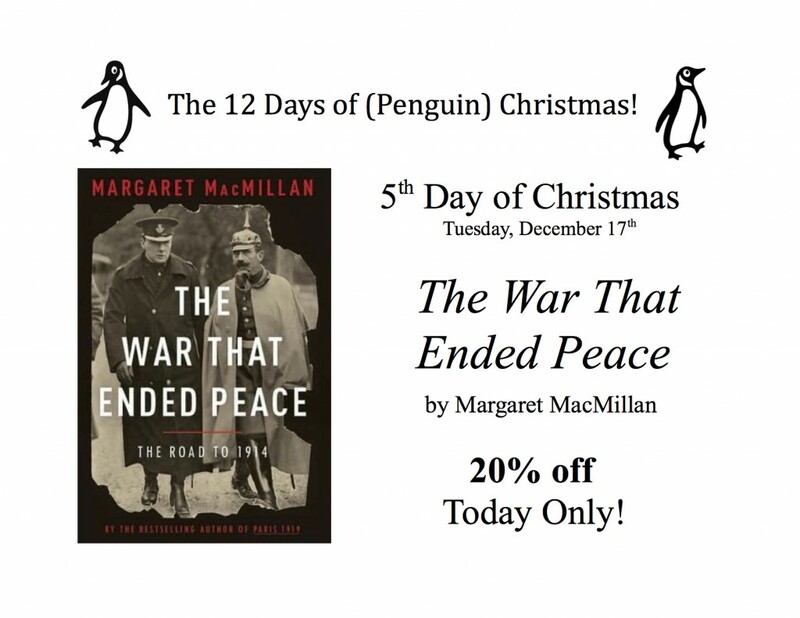 On the 5th Day of (Penguin) Christmas, my true love gave to me….”The War That Ended Peace!” The new Margaret MacMillan book is 20% off today only! Another book from Alexander McCall Smith and from perhaps his most beloved series, The No. 1 Ladies Detective Agency. 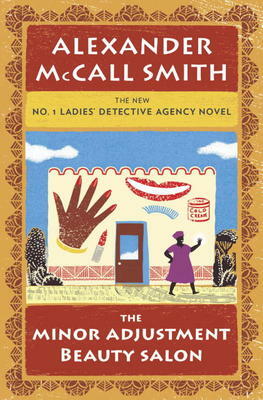 This novel comes just in time for Christmas and is full of good news for almost everyone involved in this Detective Agency: Precious Ramotswe, who runs it, her assistant who has a baby boy, her husband who runs his own garage business, and even his philandering assistant, who takes a surprise turn. The characters in the book who don’t get good news are the ones Precious Ramotswe is asked to look into. There may be one false impersonation. And there are threats against the Beauty Salon of the title. Alexander McCall Smith is once again in Botswana, where he grew up before returning to Scotland, and a career teaching medical law at the University of Edinburgh, where he now lives. There is a vivid picture of gentle, sunny Africa and the traditional haunts and patterns of living found among its people. One reviewer writes: “The pleasure of these sweet books lies in the clarity and gravity with which the characters reason through everyday dilemmas.” This is another example.